For an entry level car buyer in India, fuel economy is the most important consideration while making a choice to buy a car. While other features such as luxury and performance cannot be undermined however for most the fuel efficiency is still a major defining factor. While diesel cars are preferred over petrol but high maintenance and car pricing makes it an expensive affair at an entry-level. This spot is now conquered by CNG-powered cars. CNG Cars are powered by Compressed Natural Gas (CNG), making them the most fuel-efficient models in country. There has been a huge surge for CNG-powered cars among Indian buyers now since few carmakers have started offering company fitted CNG cars. Unfortunately there are only three brands which offers CNG cars at an entry level – Tata, Maruti Suzuki and Hyundai. Let’s find those models out. The cheapest of all CNG cars is the TATA Nano eMax which comes at a price of ₹ 2.82 lakh (ex-showroom, Delhi). Tata Nano eMax is showcases same 624 cc, 2-cylinder petrol engine as the regular Nano, but this one comes combined with a CNG kit. 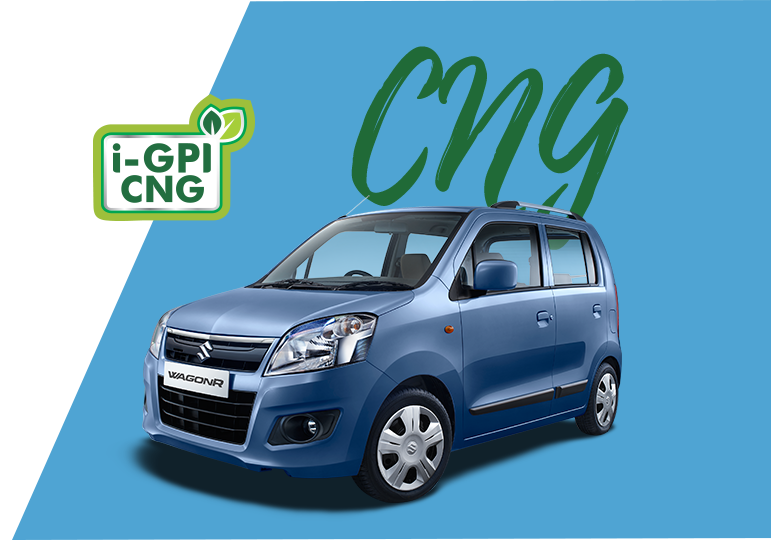 While running on CNG, the engine generates 32.5 bhp and 45 Nm of peak torque. The motor comes with a 4-speed manual gearbox as standard. The Nano eMax is based on the XM variant and provides a whooping fuel efficiency of 36 km/kg. 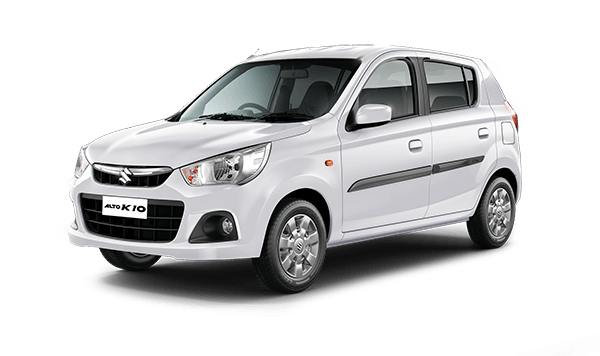 Maruti Suzuki Alto is entry level hatch loved by everybody in India. Now Alto is also available in CNG variant and comes with 799 cc, three-cylinder petrol engine that generates 30.1 bhp and 60 Nm of peak torque. The engine comes with a 5-speed manual gearbox as standard. 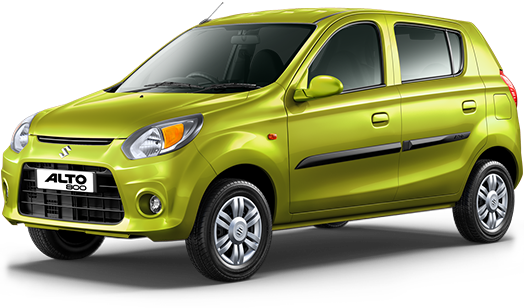 Alto offers the CNG option only with the LXI variant, which also gets optional driver side airbag. This car provides a fuel efficiency of 33.44 km/kg. One of the most popular models of Marti Suzuki, the Alto K10 also comes with a CNG option. Alto CNG features a 1.0-litre K-Series engine paired with the CNG kit that generates out 58.5 bhp and 78 Nm of peak torque. A 5-speed manual gearbox is offered as standard and comes only in the LXI variant. The CNG-powered Alto K10 returns a mileage of 32.26 km/kg. One of the top selling CNG hatchbacks in the country is the CNG variant of the Maruti Suzuki Wagon because of surging demand in the fleet (Uber, Ola, Meru etc.) segment. Wagon R provides tall boy physique and spacious cabin thus making it so popular with buyers. The WagonR comes loaded with 1.0-litre K-Series petrol engine paired with the CNG kit that churns 58 bhp and develops 77 Nm of peak torque. A 5-speed manual gearbox is offered as standard and is offered with the LXI variants only offering a fuel efficiency of 26.6 km/kg. Maruti Suzuki Celerio Green, is the most expensive CNG-powered in the list. Celerio Green comes in the VXI model showcasing 1.0-litre K10B engine which churns 58 bhp and 78 Nm of peak torque. The engine comes with a 5-speed manual gearbox as standard and offers notable fuel efficiency of 31.79 km/kg. Tata’s very popular model in fleet segment is the petrol Indica eV2 which comes with a factory-fitted CNG kit, known as Indica emax. The emax is available in two variants priced at Rs 4.04 lakh and Rs 4.32 lakh (ex-showroom, Delhi) and comes powered by a 1.2-litre engine. For the price the Indica offers a spacious interior, although quality is not up to standard. The Grand i10 can be had with a factory-fitted CNG kit for Rs 68,000 over the base ex-showroom price of the Asta trim level. The addition of the kit now keeps the warranty of the car intact unlike earlier models. Hatch is powered by the 1.2-litre Kappa 2 petrol engine seen on the standard car. Hyundai also offers the Xcent compact sedan with a CNG option at an additional cost of Rs 68,000 over the ex-showroom price. The car is again powered by 1.2-litre Kappa 2 petrol motor as its hatchback cousin. 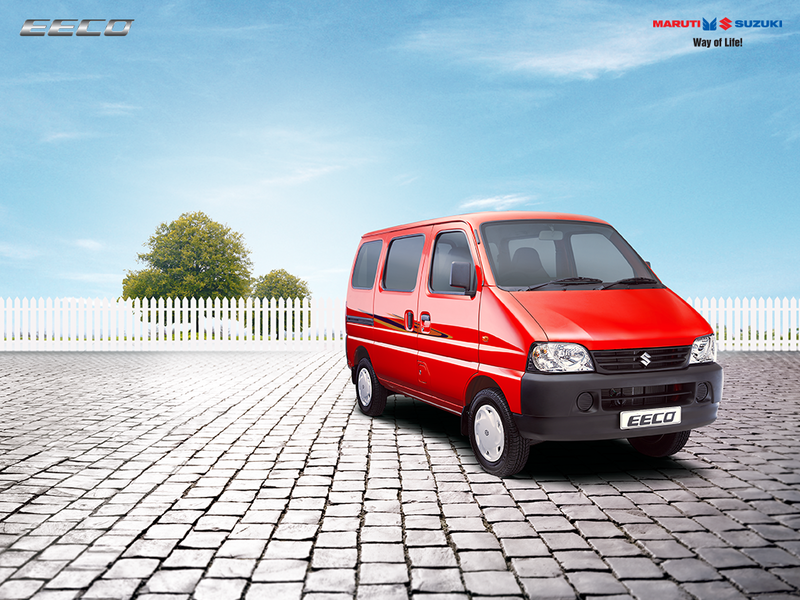 The modified version of old Maruti Van – OMNI now christened as the Eeco, also comes in CNG variant. Eco Green is available with five or seven seats options and is priced at Rs 3.83 lakh and Rs 4.19 lakh (ex-showroom, Delhi) respectively. It is very popular as school vans and delivery vehicle. Hope you liked our post. Don’t forget to share your feedback with us. You can also like our Facebook and Twitter page to stay tuned with our current posts and updates.